How to repel ants that are natural, powerful, and effective - Problems that often interfere with the comfort of a house other than the problem of rats and cockroach problems turned out to be also an ant problem. Ants if only one or two still does not matter. But when their numbers get more then it will start to interfere with comfort. Especially if they start doing expansions attacking food and sugar. So it will annoy and make us more annoyed. Usually the type of red ant like to attack foods such as side dishes, fish, and other foods. While the black ant type meyerang the sweet-sweet like sugar, sweet drinks that open the lid, and other sweet foods. Betel leaf is often encountered as a fracture material (chewed) by parents of old. Usually used to keep teeth durable. Apparently the leaves of this one plant is also able to mengtasi ant problem at home. You only need to use a few pieces of kneaded leaves to remove the scent. The aroma is so hated by the ants that they will stay away from the area of betel leaf squeeze. If we humans generally love coffee then not so with ants. The ants do not like the name of coffee especially in the form of powder. How to repel ants using this coffee powder is quite easy. Just by sprinkling the coffee powder in the area we want to avoid touching the ant they will stay away from it. In addition it can also be sprinkled in the ant's nest so they run away forever. There are interesting facts that you need to know about ants. Generally these colonized insects are not very happy with the name cucumber. So by placing a cucumber slice on the ant nest will get them going. Can also by putya in the path of ants passing cucumbers blinded cucumber. How to repel the next ant that is utilizing one of the kitchen materials is salt. Salty salt taste so disturbing ants that they will avoid it. 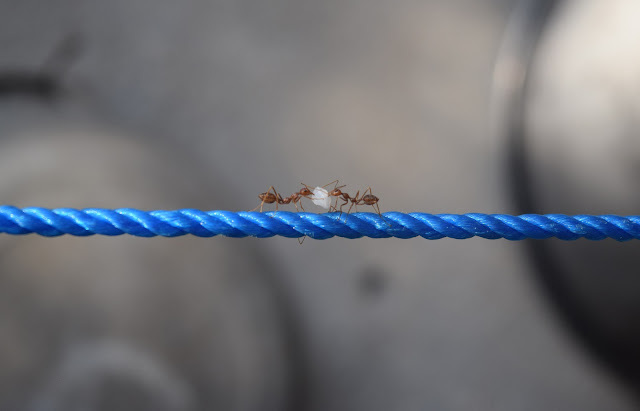 How to use salt to repel ants can be mixed with warm water and sprayed into ant nests or areas that want to be shunned by ants. We're taking the soap we used to make baths. The way is quite easy we can spray the soap in water mixed in the ant nest. Can also apply soap to the area often in ants. The waxy layer on the soap will make the ants dehydrated and they do not like it. Maybe you already know that each ant colony has a different aroma than other colonies. Well any colony will avoid the scent of other colonies that signify it's area of their power. Baking soda will manipulate the aroma so that the ants will think that the area has been mastered. So they will avoid it. Ants are also very sensitive to the name of a stinging aroma like the aroma of perfume. They choose to leave a place that has a stinging smell of perfume. How to repel ants using this parfume can utilize cotton as a medium of fragrance storage. Spray perfume on cotton made so round that the aroma is more durable. Put it on the place the ant wants to shun.